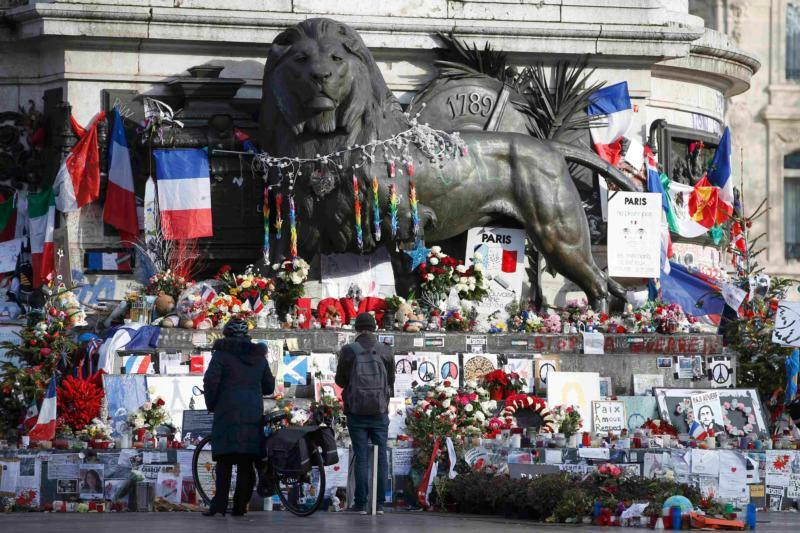 PARIS (CNS) — One year after the attack on the French satirical magazine Charlie Hebdo, the nation’s bishops asked what people learned and emphasized that religions must live and work together in society. “Have these tragic events provoked some genuine awakening, and have we offered perspectives for the society of tomorrow by learning lessons from the past?” asked a Jan. 6 statement from the French bishops’ conference. The French bishops’ statement said they joined in tributes to the victims, as well as to the 130 people killed and more than 300 injured Nov. 13 when attackers, mostly linked to the Islamic State group in Syria, launched bomb and gun attacks at a major Paris stadium and a concert hall, as well as in random bars and restaurants. On Jan. 5, French President Francois Hollande thanked religious leaders for promoting “social cohesion” and “fostering understanding among fellow-citizens” during a Jan. 5 traditional New Year meeting.